Orders placed today will ship Tuesday, April 23rd. Later dates available by request. Use the code "5off" to save $5 on an order over $55 placed today. 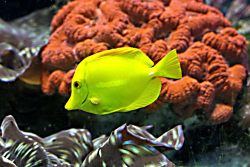 ReefCleaners.org is a family operated business specializing in algae eating invertebrates, natural filtration, and algae solutions for saltwater aquariums. We were hobbyists before we became retailers, and understand how important the health of your tank is to you. All of our products are reef safe, and include cautionary instructions where applicable. We adhere to strict quarantine procedures to ensure unwanted pests do not take hold in your tank when dipping isn't adequate. We pride ourselves on delivering quality products and advice. If you have questions please let us know, we are here to help. If you have a nuisance algae problem, but are not quite sure what nuisance you have, try our Nuisance Algae Guide , maybe it can point you in the right direction and allow us to better serve you. Alternatively feel free to contact us and we will work to ID your nuisance algae. We are aware of the value you place on sustainable collection practices. We are firmly committed to only using collection methods that do not impact the environment. We manage all of the fishing grounds we collect from, only applying pressure to the fishery at times and in locations when it is prudent to do so. We impose upon ourselves a bag limit that is stricter than those imposed by FWC on nearly every species we collect. Additionally, we will never knowingly purchase livestock from any collector that uses trawls, dredges, or any other apparatus that causes damage the sea floor or the substrate. We sincerely hope you will enjoy this website and our services. 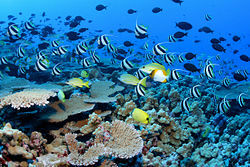 All of our livestock is reef safe in the sense that coral is not on the diet of any of the creatures we carry. However, this does not mean the particular invert is compatible with your system. Please read all item descriptions, and when in doubt contact us. "I received my rock today! It looks awesome and i am very happy with it! The shapes, crevices, and holes will look great once i get it in the tank. It also seems very easy to build with and am thinking i won't even need apoxy. Aside from the neighbor's kid wondering why the entire family was ooooing and ahhhhing over a box of rocks, it was smooth sailing!" I have to say WOW great rock! Definitely exceeds my expectations, I definitely will be purchasing from again and refer to everyone i know, thanks again." Just got my order from [ReefCleaners] and it arrived perfectly. can't beat these prices and the communication was top notch. "I ordered a bunch from him too, also received about double the order "to make up for losses". Didn't get any losses but got a TON of snails!! Thanks!! Putting them to good use." "Received an order from [ReefCleaners] yesterday. As the others have said, great communication and excellent prices. He added many extras of all the items I ordered that more than cover shipping costs and the unfortunate few losses. Johnmaloney IS the snail man." "I get an amazing deal from www.reefcleaners.org . My last $100 was amazing. I've got 30 mangrove plants, about 30 pods, and about 400 snails. Was very pleased with the last order. So if you wish to get in on a deal worth $1,000 at most retailers and online [this is the place]." 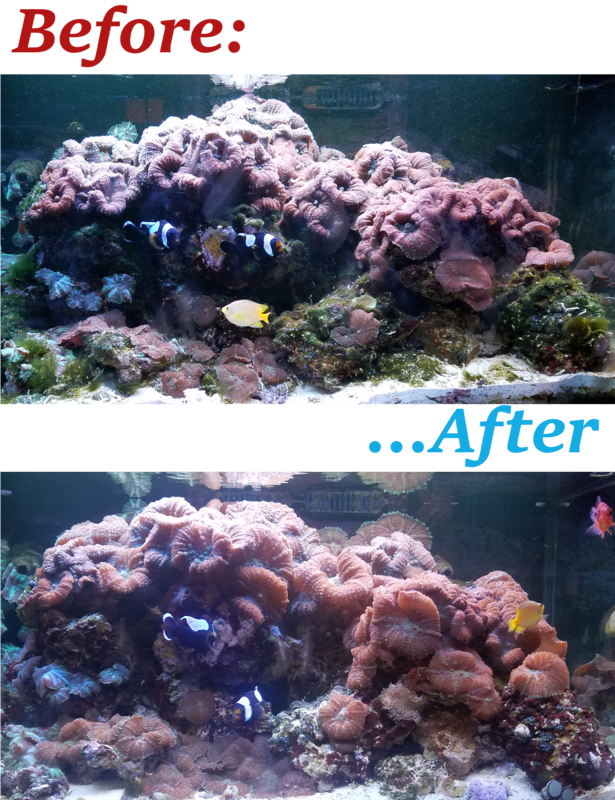 "John and the ReefCleaners.org crew have been great to work with. They helped me through the process of selecting a custom option for my specific saltwater tank and its inhabitants. I would recommend everyone I know to visit the website and use his expertise to find a solution perfect for your own needs. In the internet age, it is nice to work with a company that strives for customer service and succeeds with flying colors." We want you to be confident before making a purchase. If you would like to see additional feedback we have received, contact us and we will point you in the right direction. Or please visit one of the forums we sponsor and ask for feedback. They are located to the right. I wanted to take this opportunity to tell you that I continue to be impressed with everything I order from your company. I have ordered livestock in the past, and it was all amazing. The recent rock order continues to be fantastic. It is everything I had hoped it could be, with a great mix of shapes and sizes. Thank you for offering a great product at a reasonable price. This will make starting my new tank easy. This is a short version. PLEASE READ THE FULL TEXT HERE BEFORE PURCHASE. Livestock orders and macroalgae travel with USPS. To determine when your package will be shipped please look at the red lettering at the top of this page. Email us if you have any questions. Express Mail is usually overnight, but is 2nd Day to some locations. Priority is estimated at 2-3 days. Rock is shipped with UPS ground. Shipments within Florida travel at a discount, with the exception of those customers living in the panhandle. We ship all livestock with heat packs when necessary. Livestock is shipped in plastic bags, padded by recyclable newspaper. Please do not be alarmed if the bags have little water, most of our products are intentionally shipped that way to increase survivability. Alive Arrival Guarantee: If your pets do not make the trip, we offer an Alive Arrival Guarantee. To take advantage of the guarantee, just notify us within a reasonable time, acclimate per our instructions, be home, and choose the Shipping Service required in the product description. After we confirm your loss, you will receive a refund for the purchase price of your pet. In some cases we will ship extra snails to makeup for the few we send out that might not make the trip. You will find us very easy to work with should something go wrong, but please CLICK HERE FOR FULL TERMS. We are now offering FREE USPS Priority mail orders over $50, and FREE USPS Express Mail shipping for all orders over $200. Otherwise USPS Express is a flat rate of $37.50 , and Priority Mail is a flat rate of $11.50. Florida Residents get discounted rates of $6 for Priority Mail and $25 for Express Mail. Items marked with a " * " need Express Mail and cannot be shipped with Priority Mail. Please remember to be home when ordering from us, or notify us that you will not be home. Do you take Paypal? Yes. Do you take Credit Card? Yes. How do I attach a particular macroalgae? What algae species are best for seashorses? What cleaners eat Hair Algae? 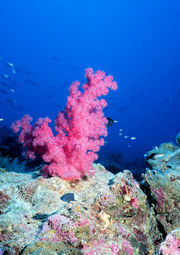 What cleaners eat red slime algae (Cyano)? What cleaners eat leftover fish food? What cleaners eat brown algae? What algae do I have? What are macroalgae and how do they effect my aquarium? How do I acclimate my new arrivals? Will adding your base rock to my tank cause a new cycle? No, the rock is professionally cleaned and is devoid of any organics. Therefore, it will not cause a change in ammonia, nitrite or nitrate levels, the parameters normally associated with "the cycle". It doesn't have a bacterial population though either, and is not ready to support life by itself when it arrives, that will take some time in your aquarium for those populations to establish.Basically, it is safe to add to an established tank, just don't remove all the current rock until it has matured though; in a new tank it should be allowed to sit until a cycle has occured, you can start one by adding decaying organics to cause ammonia and kick start the process. Fish flakes and cocktail shrimp are commonly used. When should I add a clean up crew to my tank? The tank must be cycled, and there should be some algae present for them to enjoy. Nitrates should be under 40ppm, and lower for certain inhabitants. Chitons and limpets for example should have nitrates under 10ppm consistently, as they become stressed when nitrates climb to 20ppm or greater. How do I request a later shipping date? Immediately before the "Confirm Order" button on our website you will find a comments box, you can request any shipping date you would like there and we will talk to you about it. However, weekends and holidays present some scheduling conflicts. No worries, you will receive human confirmation of all orders and a shipping day.